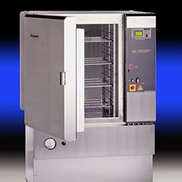 Despatch cabinet ovens and reach in ovens are designed for easy loading and unloading. 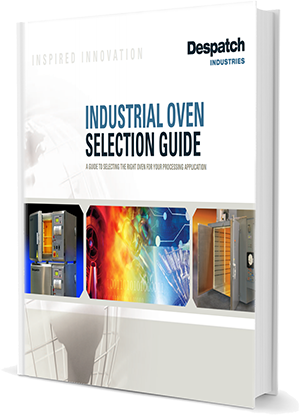 These ovens offer an almost unlimited amount of application possibilities to meet any of your batch processing needs. 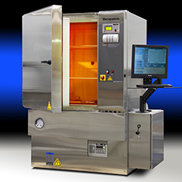 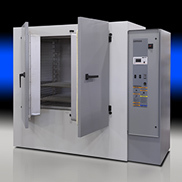 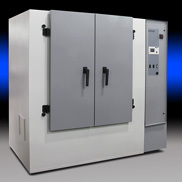 An industrial cabinet oven or reach in oven provides an efficient footprint with a wide range of chamber sizes. 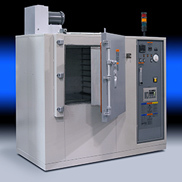 Despatch custom-designed an LNB cabinet oven with nitrogen atmosphere and material handling equipment to meet a customer’s unique requirements. 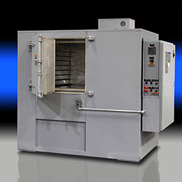 The customer’s process required a reliable oven with uniform internal temperatures and accurate ramp and soak time and temperature controls. 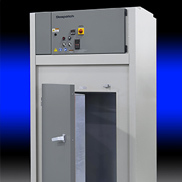 Despatch’s LNB cabinet oven, with its horizontal airflow and superior temperature uniformity, offered the ideal solution. 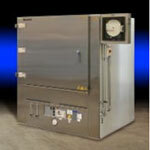 Despatch engineers also custom designed stainless steel trucks to maximize production and reduce material handling.